It all depends on the season, type of pool being installed, and scope of work included in the project. 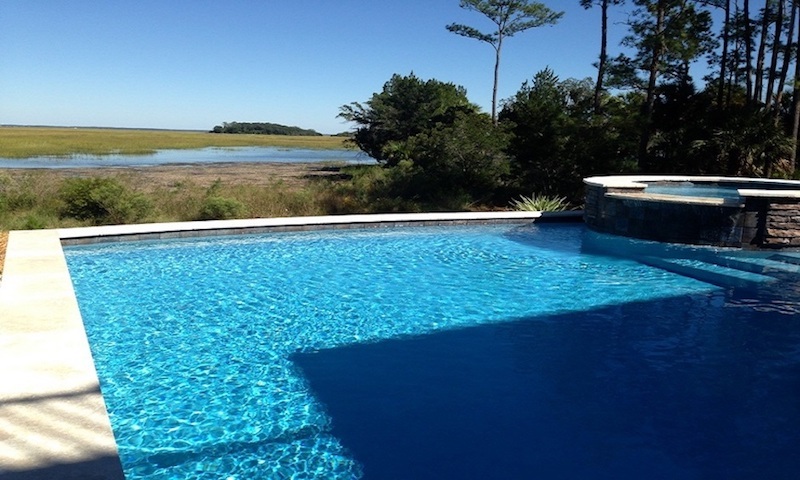 Camp Pool Builders builds pools year-round, regardless of the weather. However, the best time to build a swimming pool is before spring and summer. This allows you to have your pool and surrounding landscaping done by the first warm day… and gives your family a full season of fun! Quality of materials and craftsmanship. Soil conditions and the presence of water or rock. 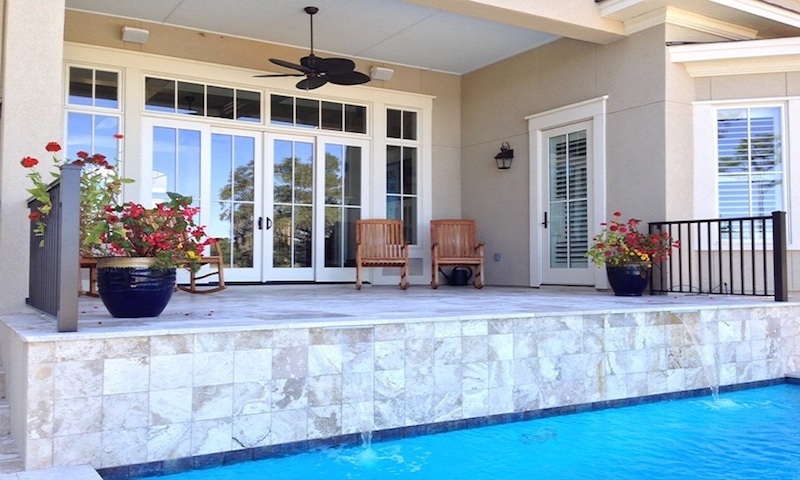 Warranties provided by the pool builder. 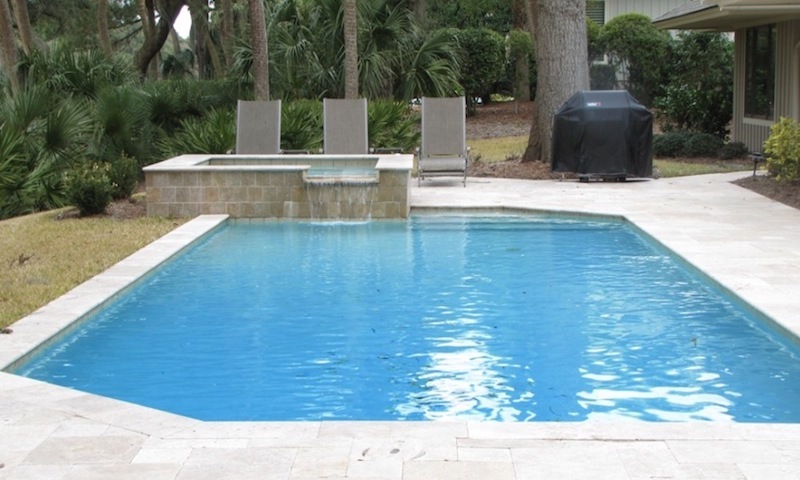 Camp Pool Builders offers the highest quality of work and has the best warranty of any builder in the industry. However, our pricing does not reflect it. 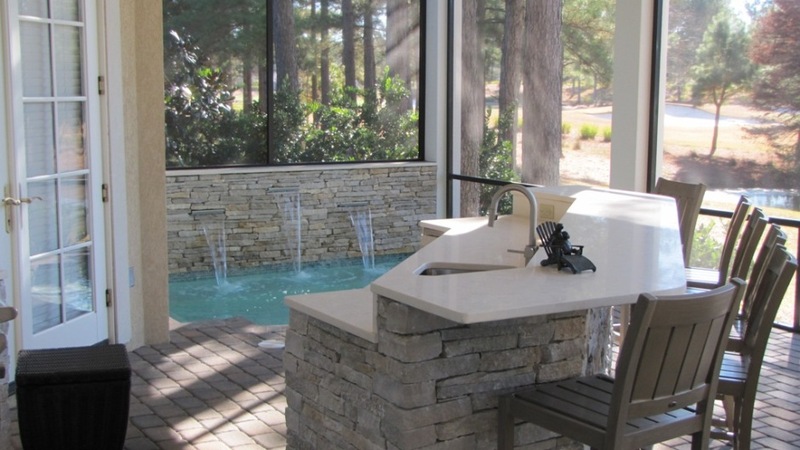 You would be surprised at what Camp Pool Builders can build in a smaller yard. 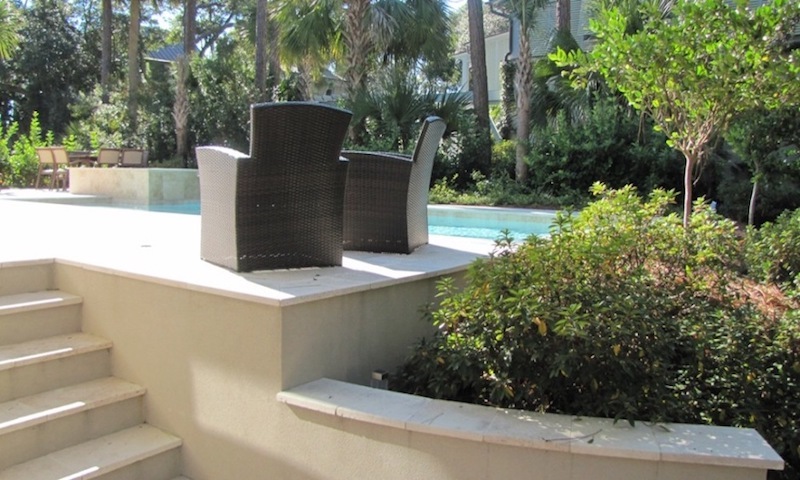 In recent years, we have seen lot sizes shrink and have become adept at building in smaller areas. 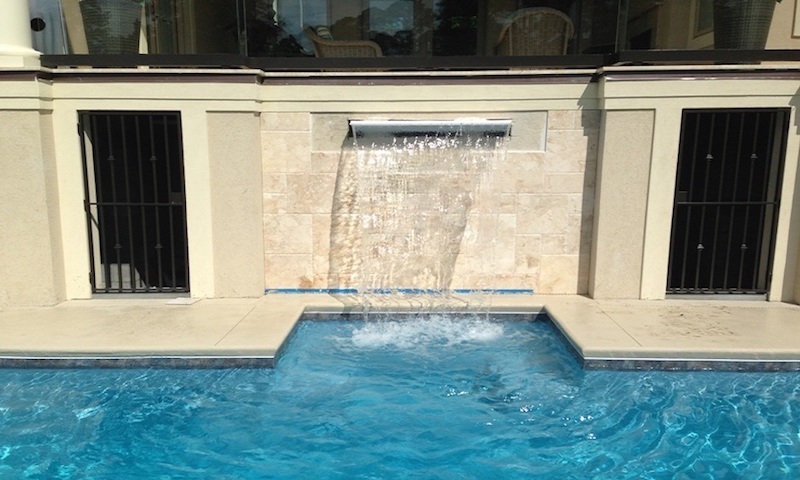 Our expert designers can create a beautiful custom swimming pool for even the most challenging properties. 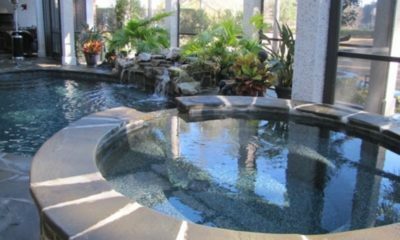 Best of all, our pool and spa designs and estimates are free, so you can see how wonderful a custom designed pool will look in your backyard. Almost anything you can imagine! Camp Pool Builders’ design team is expert in designing and building custom features like waterfalls, jump rocks, tanning ledges, fountains, and grottos. Tell us what you’d like, and we’ll do it. Need ideas? Check out our Portfolio of some of the custom features our clients have chosen for their pools. Your choices are unlimited when it comes to shapes and design. Freeform, lagoon, Grecian… it’s up to you. Our expert designers will offer suggestions on the best way to utilize the size and shape of your yard. 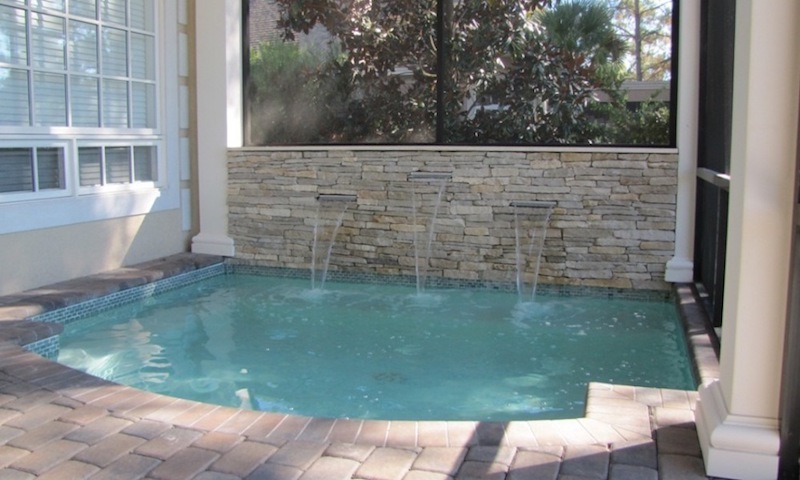 Wherever your imagination takes you, Camp Pool Builders can design and build it. 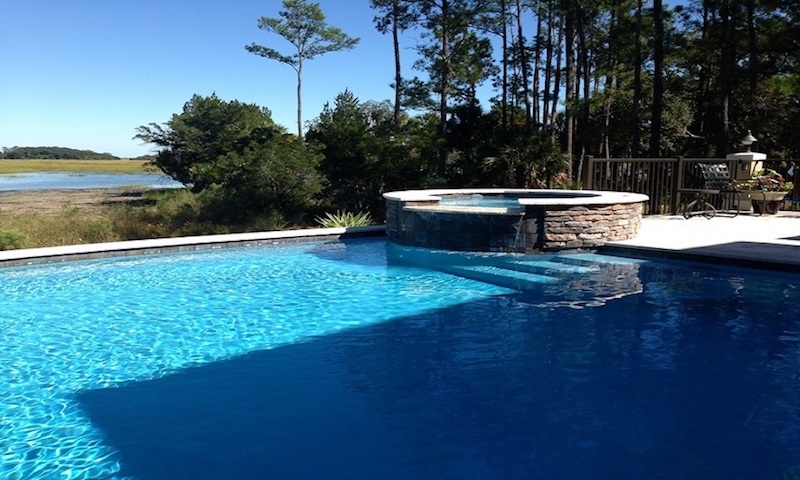 Kevin Camp, Owner of Camp Pool Builders’ will set up a meeting to discuss your pool interests and budget. 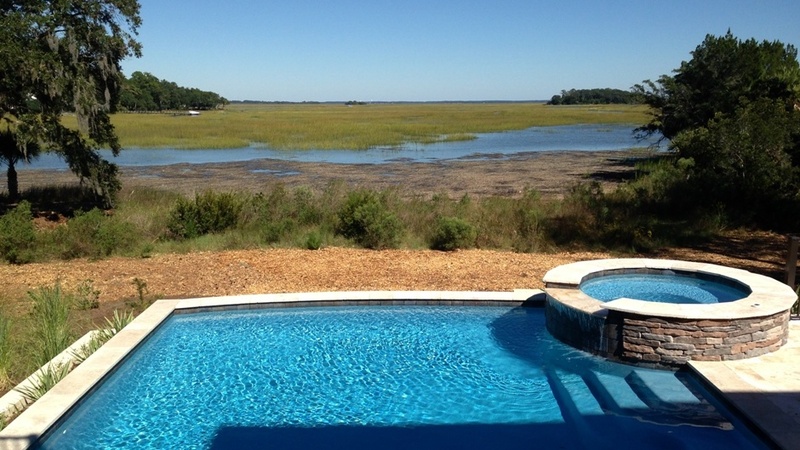 He will find out what you envision in your backyard, and then help you design the perfect pool for your lifestyle, yard and budget. 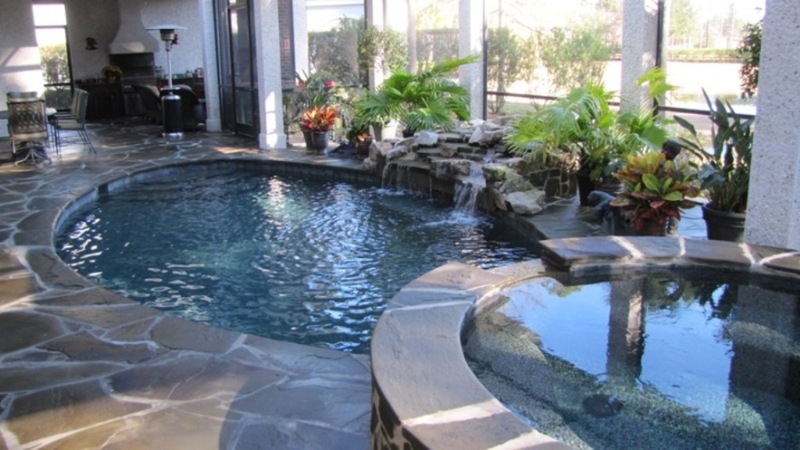 Prior to meeting, you may want to browse through our swimming pool pictures to get some ideas. 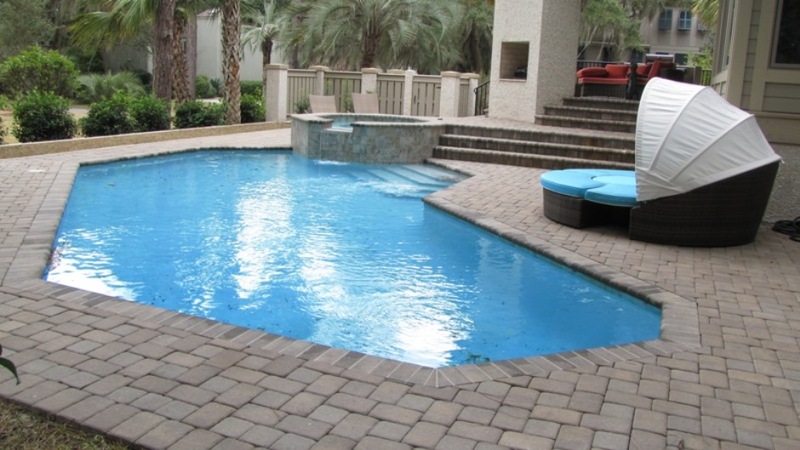 Customized options, automated features, and the cost of finish materials contribute to the total price of your pool. Camp Pool Builders’ design experts are trained to create a pool that fits your imagination, yard, and budget. 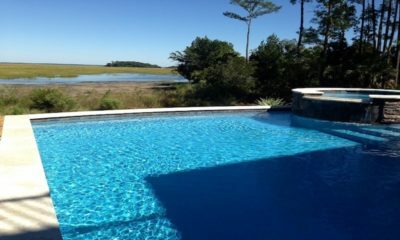 Salt Water Pool or Chlorine?